This first issue of the new ongoing series gets right into the action, as the Green Lanterns: Rebirth special bears much of the load of setting up the new series. 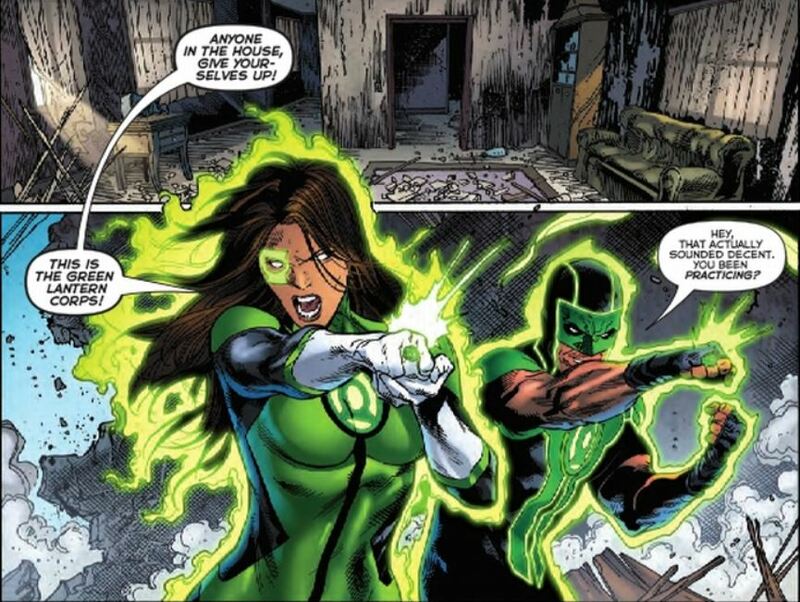 As such, the story opens with Earth’s newest Green Lanterns, Jessica Cruz and Simon Baz dealing with the presence of an unauthorized alien on Earth. Although they believe it to be a rather simple matter at first, it quickly gets out of control, tying into the impending threat posed by the Red Lantern Corps. Also complicating the matters is an encounter with local law enforcement in the form of A.R.G.U.S. The A.R.G.U.S. agent is unimpressed by the two Green Lanterns. This agent isn’t named, but I’m guessing we will see more of her in future issues. After a brief interlude that delves a bit further into the Red Lantern situation, we see Jessica encountering an unspecified threat while out with her sister. This then cuts to Simon’s dinner with family being interrupted simultaneously by Jessica’s call for help and by another shocking development. 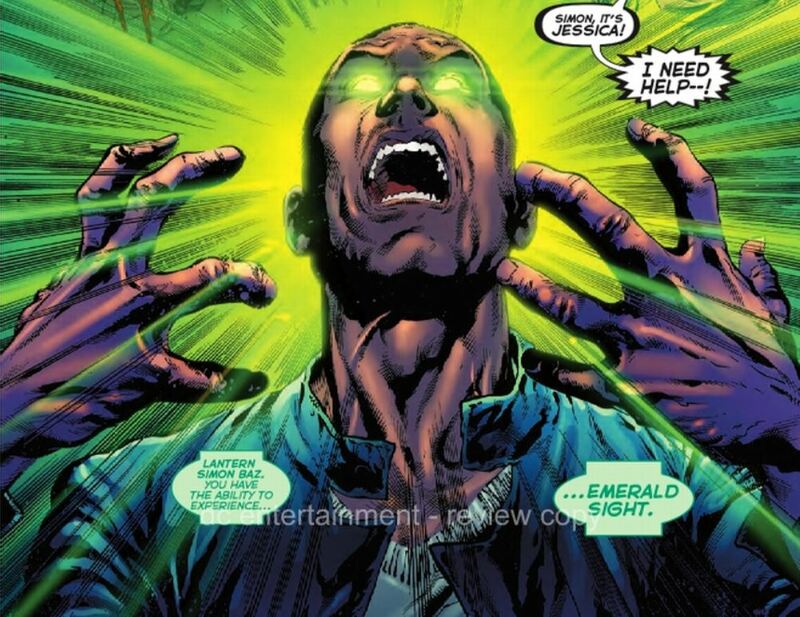 He appears to have a number visions of possible future events, as the ring pronounces him capable of experiencing “Emerald Sight”. The issue ends with us wondering what exactly this is and how it will affect Simon. It’s interesting how the title seems to be like a police procedural in some ways. Jessica is the by-the-books rookie, while Simon is the slightly more experienced hot head who is more interesting in getting the job done than the letter of the rules. It is good to see that the partnership is already evolving, and that some mutual respect is starting to develop between the pair. The new development of Simon’s Emerald Sight puts an unexpected twist on things. It will be interesting to see how this new ability will affect the developing partnership. The friction between the Green Lanterns and A.R.G.U.S. seems a bit clichéd. You would think with the number of Earth-based Green Lanterns over the years, that A.R.G.U.S. and the GL Corps would have worked out some sort of working relationship and have an established procedure for determining jurisdiction. Overall, this is a good first issue. If the writer and artists can maintain the quality shown in this initial outing, then Green Lanterns will be an enjoyable series to follow.